ARM & HAMMER® Plus the Power of OxiClean® Liquid Laundry Detergent. 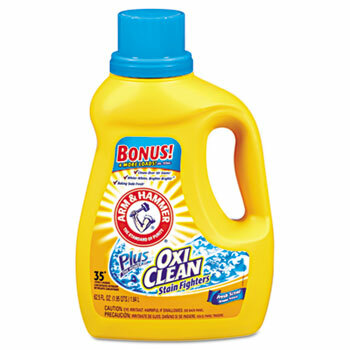 Combines the proven cleaning and freshening power of Arm & Hammer® baking soda with OxiClean® stain fighters for excellent stain lifting and whitening. Cleans more than 101 different stains. Fresh scent. 62.5-oz. bottle.